In the first five years of his reign Charles I summoned and dissolved Parliament three times. Charles now tried to rule England without the House of Commons and the House of Lords. For the next eleven years no Parliaments were held. The king's main adviser was William Laud, the Archbishop of Canterbury. Laud argued that the king ruled by Divine Right. He claimed that the king had been appointed by God and people who disagreed with him were bad Christians. Laud believed that Church reforms had gone too far. Anglicans tended to support the policies of Laud but the Puritans strongly disagreed with him. When Laud gave instructions that the wooden communion tables in churches should be replaced by stone altars. Puritans accused Laud of trying to reintroduce Catholicism. Laud also upset the Puritans (Presbyterians) in Scotland when he insisted they had to use the English Prayer Book. Scottish Presbyterians were furious and made it clear they were willing to fight to protect their religion. In 1639 the Scottish army marched on England. Charles, unable to raise a strong army, was forced to agree not to interfere with religion in Scotland. Charles also agreed to pay the Scottish war expenses. Charles did not have the money to pay the Scots and so he had to ask Parliament for help. The Parliament summoned in 1640 lasted for twenty years and is therefore usually known as The Long Parliament. This time Parliament was determined to restrict the powers of the king. Under the leadership of John Pym, a law was passed which stated that Parliament should in future meet every three years. It was also decided to take away the king's right to dissolve Parliament. Other laws were passed making it illegal for the king to impose his own taxes. Parliament then passed a law that gave members control over the king's ministers. Charles I was furious and decided it was time to retaliate. On 4 January 1642, Charles sent his soldiers to arrest John Pym, Arthur Haselrig, John Hampden, Denzil Holles and William Strode. The five men managed to escape before the soldiers arrived. Members of Parliament no longer felt safe from Charles and decided to form their own army. After failing to arrest the Five Members, Charles fled from London. Aware that Civil War was inevitable, Charles began to form an army. Religion was an important factor in deciding which side people supported. The king's persecution of Puritans meant that most members of this religious group supported Parliament, whereas most Anglicans and Catholics tended to favour the royalists. Large landowners often persuaded their workers to join their army. Landowners living in the north and south-west of England and Wales tended to side with the king, whereas people living in London and the counties in the south-east of England mainly supported Parliament. A large number of the nobility in England joined the king's army. At that time, upper-class men were trained at a young age to ride horses. This meant that Charles had the advantage of having a very good cavalry. Parliament's soldiers gave them the nickname Cavaliers (Spanish horseman called cavalieros had been responsible for killing Protestants in Europe). Parliament troops were called Roundheads because some of the younger soldiers in the army had their hair cut very short. In October, 1642, Charles I and his Royalist forces began marching on London. The Parliamentary army attempted to block their way and engaged the Royalists at Edgehill on 23rd October. It is estimated that both sides had around 14,000 men. 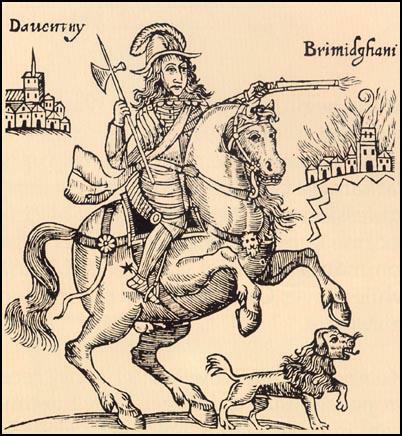 Prince Rupert and his Cavaliers made the first attack and easily defeated Robert Devereux, the commander of the left-wing of the Parliamentary forces. Lord Wilmot also had success on the right-wing and this left the foot soldiers of both sides to fight it out in the centre. The Parliamentarians held their line and their calvary managed to attack the Royalist flank. Prince Rupert's cavalrymen lacked discipline and continued to follow those who ran from the battlefield. John Byron and his regiment also joined the chase. The royalist calvary did not return to the battlefield until over an hour after the initial charge. By this time the horses were so tired they were unable to mount another attack against the Roundheads. The fighting ended at nightfall. Robert Devereux decided to withdraw his men to Warwick. This left the Royalists free to march on London. However, Charles I decided to make his way to Oxford, which became his headquarters for the duration of the war. The Royalist and Parliamentary armies used similar tactics and weapons during the Civil War. Before a battle began both sides would line up facing each other. In the centre would be the infantry brigades of musketeers and pikemen. On each side of the infantry were the cavalry. The right-wing would be led by the lieutenant-general, the left-wing by the commissary general. The heavy artillery was stationed at the rear where it could fire over the heads of the infantry. Smaller cannons, that fired nails and scrap iron in canvas bags, were positioned in front of the infantry. Most soldiers were provided with armour that covered their breasts and backs. Armour was expensive and on many occasions some members of the infantry were forced to wear leather tunics instead. Although completely inadequate against gunfire, these tunics did provide some protection against swords. The pikeman carried pikes that were between twelve and eighteen feet long. When the enemy employed a cavalry charge, the musketeers sheltered behind and between the pikemen. During the cavalry charge the pikemen aimed their pikes at the chests of the oncoming horses. Musketeers carried a matchlock. Although the matchlock was not very accurate it could kill a man from three hundred yards. Because of the state of medical welfare at that time, any shot wound would probably result in the soldier dying. The main disadvantage of the matchlock was the time it took to reload after each shot. To solve this problem, musketeers in the front line fired their matchlocks and then they retired to the back to reload. Another strategy involved the musketeers in the first line kneeling, the second line crouching and the third line standing. The three lines of musketeers all fired at the same time. After firing, these men went to the back and were replaced by the next three lines of musketeers. The men in the cavalry also carried either a short-barrelled musket or a flint-locked carbine. The main strategy was to advance at a quick trot until in range of the enemy. The men in the front fired, then wheeled away. In their second charge they advanced at full gallop using either a short sword or cutlass. In the Civil War, the opening of the battle usually involved groups of cavalry. The main objective was to make the opposing cavalry run away. When that happened, the victorious cavalry turned on the enemy infantry. Well-disciplined pikemen, brave enough to hold their ground, could do tremendous damage to a cavalry charging straight at them. There are several examples of cavalry men having three or four horses killed under them in one battle. The king's nephew, Prince Rupert, was put in charge of the cavalry. Although Rupert was only twenty-three he already had a lot of experience fighting in the Dutch army. Prince Rupert introduced a new cavalry tactic that he had learnt fighting in Sweden. This involved charging full speed at the enemy. The horses were kept close together and just before impact the men fired their pistols. During the early stages of the Civil War the parliamentary army was at a great disadvantage. Most of the soldiers had never used a sword or musket before. When faced with Prince Rupert's cavalry charging at full speed, they often turned and ran. One of the Roundhead officers who saw Prince Rupert's cavalry in action was a man called Oliver Cromwell. Although Cromwell had no military training, his experience as a large landowner gave him a good knowledge of horses. Cromwell became convinced that if he could produce a well-disciplined army he could defeat Prince Rupert and his Cavaliers. He knew that pikemen, armed with sixteen-foot-long pikes, who stood their ground during a cavalry attack, could do a tremendous amount of damage. 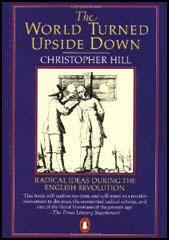 Oliver Cromwell also noticed that Prince Rupert's cavalry were not very well disciplined. After they charged the enemy they went in pursuit of individual targets. At the first major battle of the civil war at Edgehill, most of Prince Rupert's cavalrymen did not return to the battlefield until over an hour after the initial charge. By this time the horses were so tired they were unable to mount another attack against the Roundheads. Cromwell trained his cavalry to keep together after a charge. In this way his men could repeatedly charge the Cavaliers. Cromwell's new cavalry took part in its first major battle at Marston Moor in Yorkshire in July 1644. The king's soldiers were heavily defeated in the battle. Cromwell's soldiers became known as the Ironsides' because of the way they cut through the Cavaliers on the battlefield. At the beginning of the Civil War, Parliament relied on soldiers recruited by large landowners who supported their cause. In February 1645, Parliament decided to form a new army of professional soldiers and amalgamated the three armies of William Waller, Earl of Essex and Earl of Manchester. This army of 22,000 men became known as the New Model Army. Its commander-in-chief was General Thomas Fairfax, while Oliver Cromwell was put in charge of its cavalry. Members of the New Model Army received proper military training and by the time they went into battle they were very well-disciplined. In the past, people became officers because they came from powerful and wealthy families. In the New Model Army men were promoted when they showed themselves to be good soldiers. For the first time it became possible for working-class men to become army officers. Cromwell thought it was very important that soldiers in the New Model Army believed strongly in what they were fighting for. Where possible he recruited men who, like him, held strong Puritan views and the New Model Army went into battle singing psalms, convinced that God was on their side. The New Model Army took part in its first major battle just outside the village of Naseby in Northamptonshire on 14 June 1645. The battle began when Prince Rupert led a charge against the left wing of the parliamentary cavalry which scattered and Rupert's men then gave chase. While this was going on Oliver Cromwell launched an attack on the left wing of the royalist cavalry. This was also successful and the royalists that survived the initial charge fled from the battlefield. While some of Cromwell's cavalry gave chase, the majority were ordered to attack the now unprotected flanks of the infantry. Charles I was waiting with 1,200 men in reserve. Instead of ordering them forward to help his infantry he decided to retreat. Without support from the cavalry, the royalist infantry realised their task was impossible and surrendered. By the time Prince Rupert's cavalry returned to the battlefield the fighting had ended. Rupert's cavalry horses were exhausted after their long chase and were not in a fit state to take on Cromwell's cavalry. Rupert had no option but to ride off in search of Charles I. The battle was a disaster for the king. About 1,000 of his men had been killed, while another 4,500 of his most experienced men had been taken prisoner. The Parliamentary forces were also able to capture Charles' baggage train that contained his complete stock of guns and ammunition. The Battle of Naseby was the turning point in the war. After Naseby, Charles was never able to raise another army strong enough to defeat the parliamentary army in a major battle. Charles continued to rally support from his base in Oxford. In January 1647, Charles fled to Scotland where he was captured and handed over to the parliamentary army. Charles was imprisoned in Hampton Court, but in November 1647 he escaped and managed to raise another army. This time Charles was able to persuade the Scots to fight on his side. In August 1648 Cromwell's parliamentary army defeated the Scots and once again Charles I was taken prisoner and the war came to an end. It has been estimated that about 100,000 soldiers were killed during the Civil War. The majority of these died from army fever (a form of typhus) rather than from injuries received on the battlefield. (1) In 1643 Oliver Cromwell wrote a letter to Suffolk County Committee. I would rather have a man that knows and loves what he fights for... than a man which you call a "gentleman". (2) Eyewitness account of the footsoldiers that fought in the royalist army at the Battle of Edgehill on 23 October, 1642. Your petitioners most sadly weighing the present wretched condition of this divided nation; and having too just cause to fear the bitter and fatal consequences of a civil war already broken out amongst us even to the effusion of abundance of blood in several parts of this kingdom, out of piety towards God and pity towards men; do humbly represent unto your lordships the great and unhappy divisions both in church and state of which the bloody rebels in Ireland take advantage, the common safety is infested and endangered, the face of religion is greatly disfigured, commerce and trade the only support of this City exceedingly impaired, whereof none can be equally sensible with us; those with whom we trade in most parts of this, and the kingdom of Ireland much disabled and impoverished by the violence and rapine of soldiers, some of them totally despoiled, others fearing the like measure, the multitude of poor people in and about this City (who by reason of cessation of trade want employment and consequently bread) infinitely abound; sadness of heart, famine, misery, and utter ruin attend us and the whole nation in this condition; besides two great armies being almost at an interview in the bowels of the kingdom ready for another fearful encounter unless a happy mutual concurrence of his majesty, your lordships, and the honourable House of Commons speedily intervene. The duty therefore which we owe to God the father of peace, and to his church the mother of peace, the honour we bear to a most gracious king, and his great council, and lastly the charity which is due from us to our native Christian country (now ready without the great mercy of God to be sacrificed) hath importuned this most humble petition from us. That your lordships for the timely prevention of those fearful approaching evils which inevitably wait upon such times of distemper, will be pleased whilst the opportunity is yet in your hands to use such means for an accommodation and procurement of a happy peace in this kingdom without further effusion of blood as to your lordships' wisdom shall seem fit, to effecting whereof your petitioners shall attend your honourable consultation with their most hearty prayers, and not only we and ours, but children unborn shall have cause to bless you and your memorial to the end of time. (7) Richard Atkins, was a Captain in the Royalist army. On 13 July, 1643, he took part in the Royalist victory at Roundway Down. In this extract Atkins describes trying to kill General Arthur Haselrig, the leader of the parliamentary army at Roundway Down. (8) On 8 August 1643, a crowd of women wearing white ribbons in their hats, marched on the House of Commons and demanded an end to the war. In a letter to his wife, Thomas Knyvett, an MP, explained what happened. On Tuesday morning a large group of women came and. demanded, peace .The next day they came again in a far greater number... they became unruly and many women were killed by the trained guard. It was this day signified by letters from London, that the tumults there do daily increase, occasioned chiefly by their daily pressing men to serve in their rebellious army, seizing poor men many times in their beds, and taking them from their wife and children to fight in spite of their hearts they know not why. (10) Diary entry of Henry Slingsby, a MP from Yorkshire (1642). We have lived a long time.... without war... We have had peace when all the world has been in arms... It is I say a thing most horrible that we should engage ourself in war with another.... with our own venom... we will destroy ourself. (11) William Davenport, a farmer from Cheshire, kept a journal on the Civil War. May 1644: Prince Rupert came with his army... I lost eight horses, sixty bushels of oats and over a hundred pounds in other goods. (12) In January 1644, Mary Springate heard that her husband. Sir William Springate, was suffering from camp fever. Although pregnant, Mary made the dangerous journey from London to Arundel. It was about twelve at night when we arrived... Seeing me... he sprang up as if he would come out of his bed, saying, "Let me embrace you before I die. I am going to my God." He had been in bed for five days... The purple spots came out the day before... The fever was so violent and he so young and strong (he was 23), and his blood so hot they were forced to sit round the bed to keep him in. He died two days later. (13) Anne Fanshawe, a strong supporter of Charles I, lived in Oxford during the Civil War. From the windows of our house I observed the sad spectacle of war... sometimes plague, sometimes sicknesses of other kind, by reason of so many people being packed together. (14) Lucy Hutchinson worked as a nurse looking after parliamentary soldiers during the Civil War. 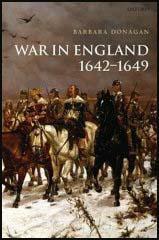 In her book on the war that she wrote in about 1670 she describes looking after soldiers during a battle in Nottingham. In the encounter only five of our men were hurt... we dressed all their wounds with such success that they were all cured... Seeing three of the prisoners badly bleeding I dressed their wounds also... Captain Palmer came in and told me not to help the enemies of God. I replied, I had a duty to treat them as men, not as enemies. (15) Henrietta Maria went to Holland to raise funds for the royalist army. On her journey back her ship was chased by four Parliamentary ships. On 23 February, 1643, she wrote a letter to Charles I about her experiences. (16) Joshua Sprigge was General Fairfax's chaplain. Later he wrote an account of the battle at Naseby. Prince Rupert chased the left-wing almost to Naseby town... The Prince, probably realising by that time the success of our right-wing cavalry... he raced to the rescue of the King's army, which he found in such distress, that instead of attempting to rescue them... he went to look for the King... The prisoners taken in the field were about 5,000... The whole booty of the battlefield was given to the soldiers, which was very rich and considerable... besides the riches of the court and officers, there was also the goods stolen from Leicester. Fairfax overcame the king, in the battle at Naseby... The king's coach and cabinet of letters were taken... the letters revealed that the king had been trying to persuade the Danes and Irish to fight for him. (18) Edward Walker was a member of the Royalist cavalry at Naseby. The first charge was by Prince Rupert and his troops... The infantry only made one volley... they were soon in great disorder. (19) Sir Richard Bulstrode served in the Royalist army at Edgehill. Just before we began our attack, Prince Rupert passed from one wing to the other, giving orders to the cavalry, to march as close as possible, to receive the enemy shot, without firing our pistols, till we broke in amongst the enemy... after a small resistance... we were masters of their cannon... Prince Rupert... eagerly pursued the (right-wing of the parliamentary cavalry), who fled... if we had only kept our ground after we had beaten the enemy, and not left our foot naked to their cavalry... we might have made an end of the war. (20) Dr William Harvey served as a surgeon in the Royalist army. Later he described what happened to Sir Adrian Scrope when he was wounded at Edgehill. Sir Adrian Scrope was dangerously wounded, and left amongst the dead men... The local people stripped him, which helped to save his life. It was cold, clear weather, and a frost that night, which staunched his bleeding, and about midnight, or some hours after his hurt, he awaked, and was forced to draw a dead body upon him for warmth. (22) Charles I made a short speech before he was executed. Later, the speech was printed in a news-sheet and distributed all over England. I never did begin the war with the two Houses of Parliament... They began war upon me... if anybody will look at the dates of what happened... they will see clearly that they began these unhappy troubles, not I... therefore I tell you I am the martyr of the people. (24) Extract from a pamphlet on the execution of Charles I that was published soon after his execution. The King... looking upon the block, said to the executioner... "It might have been a little higher"... The executioner replied, "It can be no higher Sir"... When the King's head was cut off, the executioner held it up and showed it to the spectators. (25) John Rushworth was one of the fifteen men on the scaffold when Charles I was executed. Later he wrote an account of what happened. The scaffold was hung round in black... the axe and block was in the middle of the scaffold... "I shall be very little heard by anybody here," began the King, speaking from notes on a small piece of paper he had taken from his pocket... He protested his innocence of beginning the war... Then turning to Colonel Hacker, he asked, "Take care that they do not put me to any pain"... Then the King took off his cloak... the King, stooping down, laid his neck upon the block; and after a little pause, stretching forth his hands, the executioner at one blow cut his head from his body.